Recently I posted about what is trending for 2015 SPRING BRIDAL FASHIONS as witnessed from our shopping trip in NYC for Bridal Fashion Week. As promised, here is a recap of some of the fab parties we attended. I have to say, this is definitely the highlight of the year when it comes to attending glamorous events! Who better to throw a party than two of the wedding world’s top publications? MARTHA STEWART WEDDINGS & THE KNOT did not disappoint! Our first stop was MARTHA STEWART WEDDINGS‘ 20 YEAR ANNIVERSARY SOIREE at The Pierre Hotel, at the edge of Central Park. There was so much going on at this event that it was hard to take it all in! From a “glitter yourself” station, to photo booths, to makeup and manicure re-touches, to more food than you can ever imagine including oysters, dessert spreads, ice cream, savory treats and more, to a darling stationary station, to celebrities, to a killer band, to orchid favor pots, to an open bar, there was more than enough to keep us entertained! I’m exhausted (and excited!) just listing it all! I even had the opportunity to chat with DARCY MILLER, long time editor and creative mind of Martha Stewart Weddings! Our next stop was the New York Public Library for The Knot’s big event. 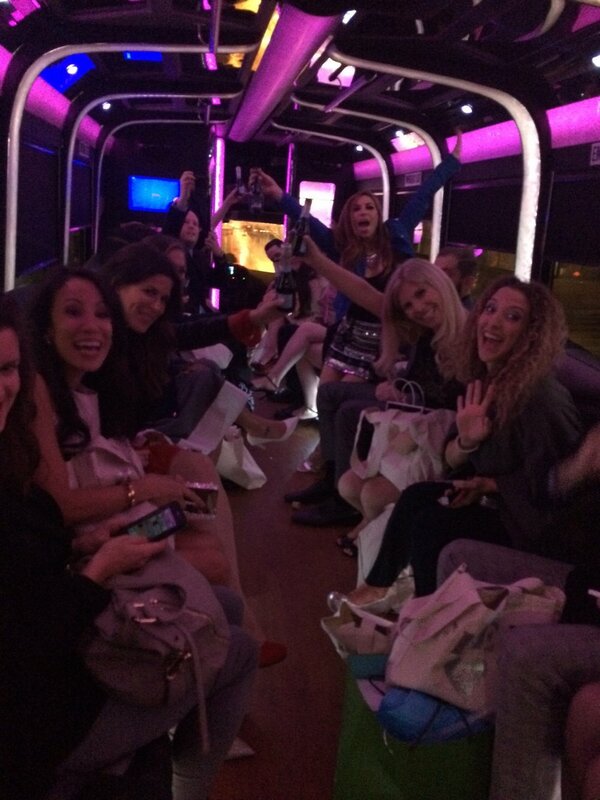 They sent a party bus to shuttle us all back and forth and getting there was half the fun! We ended up having some drizzle towards the end of the evening but The Knot was prepped with big white umbrellas and an attendant to walk with each person to and from the building to make sure not a drop of water hit you. It was super fancy, but totally unnecessary for this Oregonian! It did however make for a great scene outside of the library. THE KNOT did not disappoint with an amazing floral wall featuring stunning cakes, appetizers served by waiters in wedding garb, a scent station, and a band that kept the dance floor hopping.